With the holiday season upon us, there are many opportunities to be thankful for our loved ones. Thanksgiving is a time when families can celebrate memories and experience new traditions. One of the most meaningful activities is taking time out of our hectic schedules to be with friends and family. 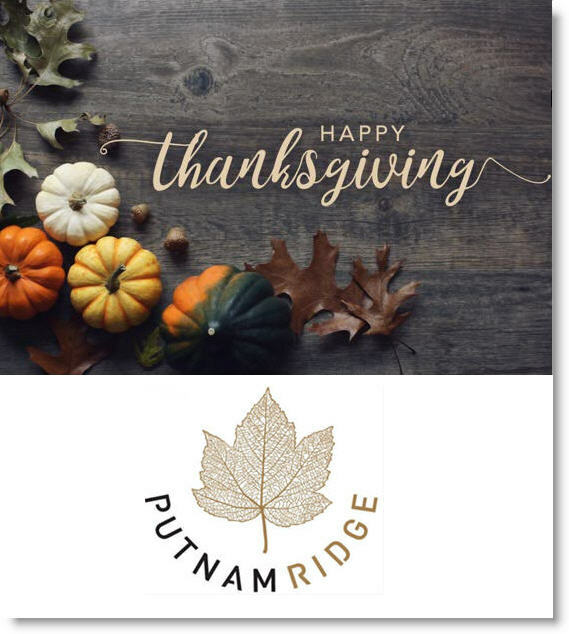 Putnam Ridge encourages others to reflect upon the significance of the holiday and on the multitude of blessings we enjoy, including the gifts of family, friends, and health. From our family to yours, Putnam Ridge’s staff and management wishes everyone a very happy and healthy holiday season!